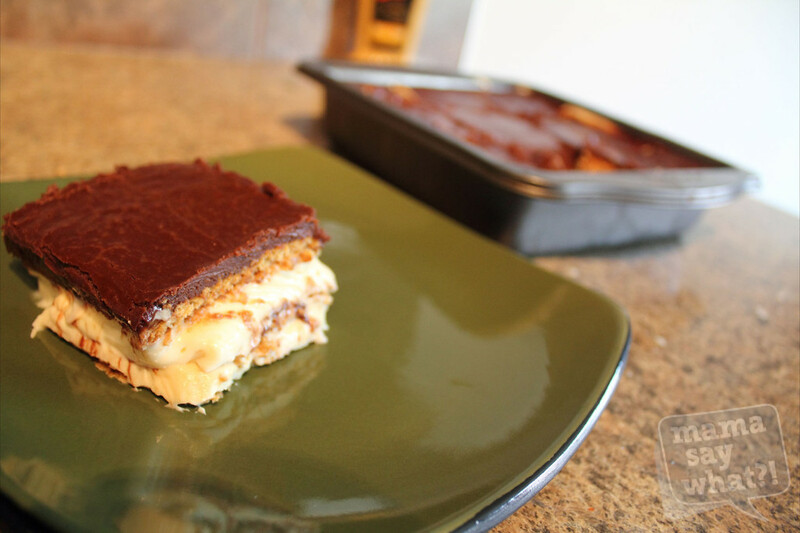 Chocolate Éclair Pudding Cake Mama Say What?! | Mama Say What?! 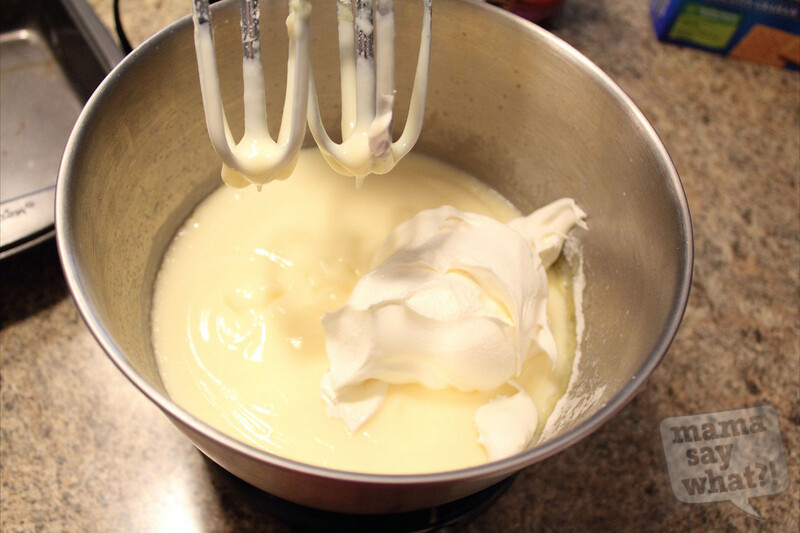 Make the pudding as directed and mix Cool Whip directly in it after making it. Set aside. 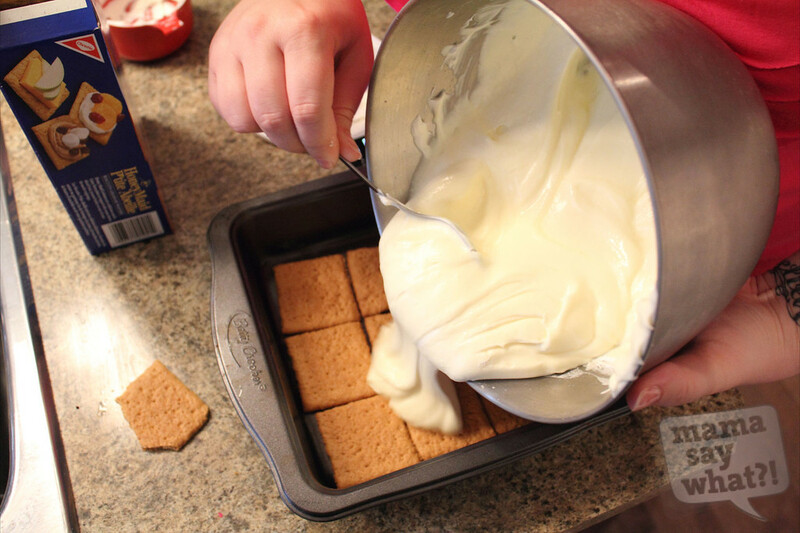 Layer a 9 x 11″ pan with graham crackers. 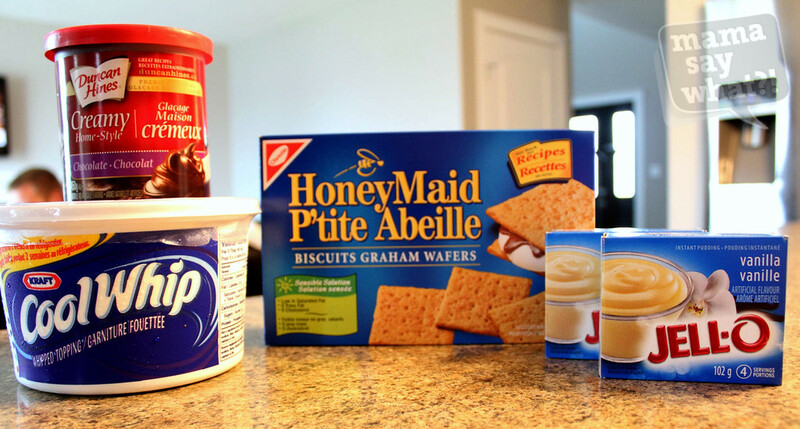 Put half of the pudding mixture over the graham crackers. Layer another row of graham crackers, then more pudding. 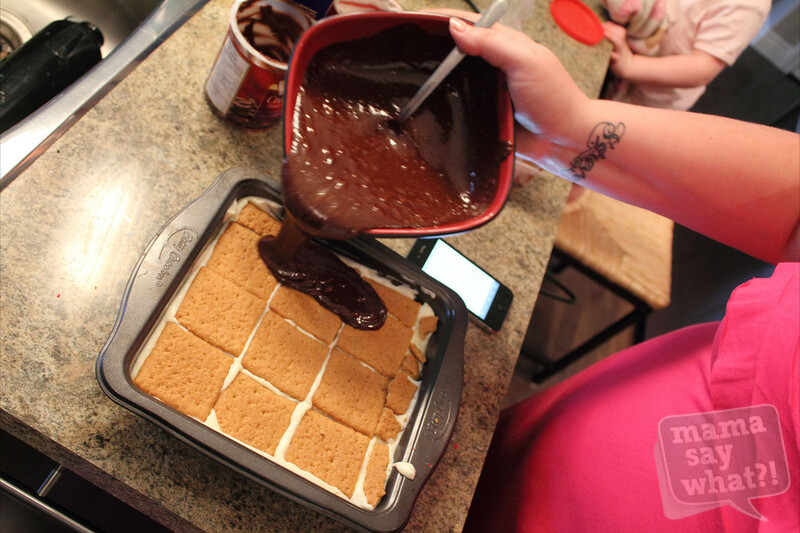 Then add one more layer of graham crackers. Frost the top layer of graham crackers with chocolate frosting (I like to heat it in the microwave for about 30 seconds so it’ll just pour right on there). Chill in the refrigerator for at least 4 hours, but preferably overnight. That’s it! Super simple and absolutely delicious. This is a family favorite in our home and I hope it will be in yours too! Added by Miriam R. on September 28, 2012. This looks SO delicious! I have to give it a try. Thank you so much for posting this! It was sooo yummy! It’s become a huge hit in our house. And it’s so easy!